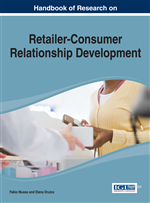 The chapter demonstrates the extent to which companies operating in the Retailing Grocery industry use Corporate Social Responsibility (CSR) as driver to enhance their brand and pursue commercial value, or to purely redefine their business priorities in accordance to evolving consumers' needs and expectations by making CSR a new concrete business model and evolving towards the concept of Corporate Shared Value (CSV). The study is addressed to analyse the matter of facts in two different European geographical areas: Italy and United Kingdom, chosen because of the peculiar approaches in companies' attitude towards CSR and CSV, ultimately. Many differences and some relevant similarities in the implementation of CSV as new strategic model between the countries have emerged, with UK showing the most formalized and standardized integration between social and economic value within its Grocer Retailer companies' business activities. Many authors consider responsible, ethical, philanthropic and sustainable behaviours to be effective routes companies can take to reach their markets and meet their consumers' needs successfully (Torres et al., 2012; De Pedro & Gilabert, 2012; Vallaster et al., 2012; Kuepfer & Papula, 2010; Macleod, 2001; Mohr et al., 2001). All the actions conducted within the above mentioned fields are commonly defined with the name of Corporate Social Responsibility (defined within the chapter to as CSR) and have started being actively implemented by companies for the last three decades. As the for-profit world has started realizing the importance of playing a role as good citizen in the society (Carrol, 1991; Ahmed & Machold, 2004) and adjusting their whole organizational culture (Schein, 2010; Pringle et al., 1988) according to a responsible way of doing business that creates value also for the society, the concept of Corporate Social Responsibility has evolved towards the creation of Corporate Shared Value (defined within the chapter to as CSV) (Porter & Kramer, 2011). Implementing a model based on Corporate Shared Value means for companies undertaking a set of profitable activities that move beyond the trade-off between business and social concerns, to buster companies’ competitiveness while improving at the same time economic value and the conditions of the society their activities directly or indirectly impact on (Porter & Kramer, 2011). In order to share the value they create, companies need to communicate their responsible, ethical, philanthropic and sustainable actions in a coherent way and integrate CSV with the other marketing activities that include branding, and so set up an Integrated marketing communication strategy (Schultz et al., 1993; Krugman et al., 1994; Duncan & Mulhern, 2004; Belch, Belch, 2009). The necessity of integrating communication levers is perceived by companies as the most effective and strategic way to recognize their business a reason to exist, and this is undisputed especially in crisis periods (Casalegno et al., 2012), when new concerns drive consumers towards more responsible and coherent choices, as far as both economic and intrinsic value of products and companies are concerned. In the specific case of Grocer Retailers, for instance, consumers are nowadays looking for tangible benefits belonging to the implementation of Corporate Shared Value: when CSV domain directly affects their actual experience with the company or company’s private labels they tend to modify their shopping behaviour (trendwatching.com) and may be willing to pay higher prices if the purchase is justified by a good cause (Cause Related Marketing) (Demetriou, Papasolomou, & Vrontis, 2009) or the product simply acts in the best interest of society. It is here that the relation between branding and Corporate Social Responsibility becomes crucial to understand the way in which companies are actually implementing the model of Corporate Shared Value. IN particular, whether CSR activities actually and purely aim at improving both society wellbeing and economic conditions or they are just addressed to help differentiating strategically companies' image related to their business operations (La Cour & Kromann, 2011) and obtain the competitive advantages (Porter & Kramer, 2002) for maximizing their profits (Friedman, 1970). In particular, which activities carried out within CSR really belong to the pure altruism of individuals running the company (Maple, 2008) and which ones just represent “an intellectual sloppy and trendy diversion from rigorous economic and institutional analysis” (Robins, 2005)? Ethics and Sustainability: The combination of environmental, societal and ethical concerns in processes, goods/products and services development. Corporate Social Responsibility: The sum of policies concerning a corporate self-regulation integrated in its business model. Corporate Shared Value: A set of profitable activities that aim at improving at the same time both the economic value and the conditions of the society companies' activities directly or indirectly affect. Branding: The strategy used to create a unique name and image for a product in consumers' mind. Philanthropy: Consists of several activities aiming at building relationships with third sector organizations. From the simply cash donations and investments in specific projects of social interest to the sponsorship of development and some cause related marketing activities. Cause Related Marketing: A commercial activity in which businesses and charities form a partnership with each other to market an image, service or product for mutual benefit. Integrated Marketing Communication: The strategy of communicating simultaneously to different targets with different schemes in order to create a synergy among communication channels so that the effect resulting from their integration will be more powerful than any single undertaken communication action.